RHDAustralia 2018: New funding. New direction. 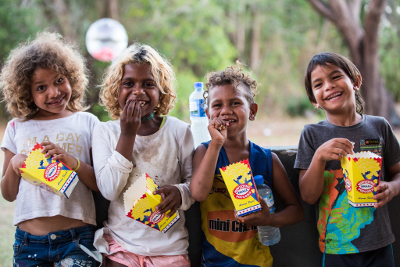 We are excited to announce that along with our new round of Commonwealth funding, RHDAustralia is undergoing a shift in organisational direction to assist in reducing the burden of acute rheumatic fever (ARF) and rheumatic heart disease (RHD) in Australia. Under the terms of the head agreement RHDAustralia will develop and deliver evidence based guidance, education and training, as well as create resources and conduct education and training sessions to support health systems. This shift is positioning us to do more work around the development of evidence based resources for individuals, families and communities affected by ARF and RHD. This will be actioned by working alongside Aboriginal and Torres Strait Islander people and their communities as well as the health systems that support them. In support of our new strategic direction, RHDAustralia is operating with a newly designed organisational structure with a Program Manager role replacing the previous Deputy Director position. “As a new team, we’re coming together to assess what work has already been done, and identify and prioritise the areas of need. In all that we do, we will be consulting the communities that our message is targeting, to listen and learn about the best way it can be delivered. It’s an exciting time and we’re looking forward to the busy year ahead,” said Program Manager Bec Slade. Also new to the structure is a Technical Advisor role and Senior Nurse Advisor. Please join us in welcoming the newest appointments to the RHDAustralia team. Bec Slade – Bec is RHDAustralia’s newly appointed Program Manager and joins us from Adelaide. She has experience working in health programs in Australia and abroad. She has a background in Public Health and Law, and has been working in International Aid and Development in a range of programs. Vicki Wade – Vicki is the Senior Cultural Lead for RHDAustralia. Vicki Wade has close to 40 years’ experience working in health in many roles including nurse educator, clinical nurse consultant in cardiology, manager of a state wide Aboriginal vascular health program, Area Director of Aboriginal health, researcher and cultural leader of the Heart Foundation. Sara Noonan - Sara has re-joined RHDAustralia as the Technical Advisor, based in Adelaide. Sara has a strong technical background in ARF and RHD and will provide expert advice and best practice support and take a lead role in the development of the 3rd edition of the National Guidelines for ARF and RHD. Diana Mosca – Diana commenced as the Senior Nurse Advisor at RHDAustralia in January 2018. Since completing her nursing training at Princess Margaret Hospital for Children in Perth, WA, she has held nursing and education positions in WA, Qld and NT. Her career has focussed on education, paediatrics, public health and perioperative nursing. Jill Thyne – Jill Thyne is the new Project Assistant for RHDAustralia. Jill joins us after working with the School of Education at Curtin University where she provided executive support to a range of Directors and Heads of School. Prior to that, she spent 15 years working in various professional roles at Charles Darwin University. Please follow the links to learn more about the work we do, the resources on offer, and the people at RHDAustralia.